Dimensions 0.50 by 9.25 by 11.50 in. Feeling sad because no one chooses it as a Christmas tree, a bedraggled forest pine discovers the importance of being appreciated all year long. Amazon.com description: Product Description: This charming tale of an overgrown pine always being passed by for Christmas, and what his woodland friends do to help him, is sure to become a Christmas classic. 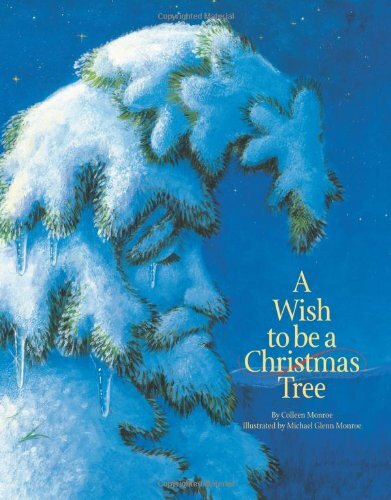 With delightful illustrations by wildlife artist Michael Monroe and enchanting text from Colleen Monroe, the birds, deer and squirrel of this story help make their special friend's wish come true. About: Feeling sad because no one chooses it as a Christmas tree, a bedraggled forest pine discovers the importance of being appreciated all year long.